Greenhouse is an installation about the history of the Wieringermeer, a polder drained in the 1930s now developing a new future as the location for a gigantic greenhouse complex. The project focuses on the building site of a greenhouse the corporation Agriport is building by the A7 highway, near Medemblik, some 60 kms North of Amsterdam. The structure is around 800 meters long, its surface more than 250.000 square meters. In front of the greenhouse still stand the three old farms on which land this new structure is being built. The large video screen shows a continuous travelling shot from one end to the other of a greenhouse under construction. The camera scans foreground and background at a slow pace, as if by walking, capturing two kinds of buildings, two economies, two mentalities, two kinds of ‘work’: a landscape in a state of transition. 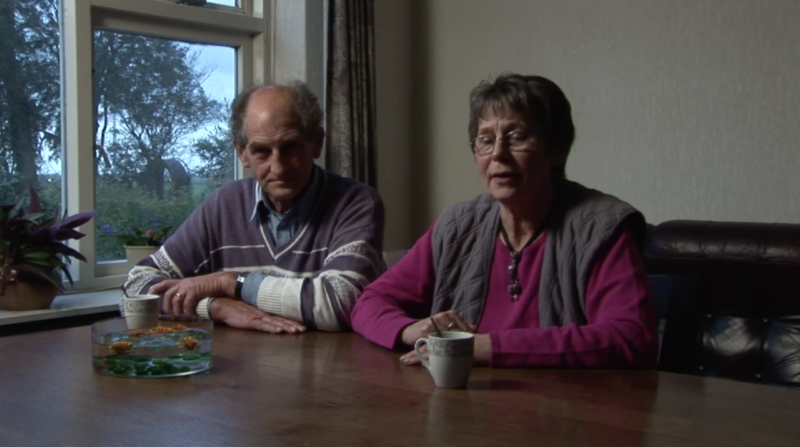 In the small screen, Mr. Muller (one of the three farmers who sold their land) and his wife talk about their memories of the place: the landscape when Mr Muller’s family arrived in the polder in the late 1930s, a wooden house they lived in when the German soldiers flooded the polder in WW2, the strawberries in the garden, a party on a Sunday afternoon… Their voice accompanies us in our ‘walk’ of the greenhouse. It acts as an aperture to the past of the place, while we contemplate its future. Past and future compress the present into a very thin layer in the landscape, barely visible. 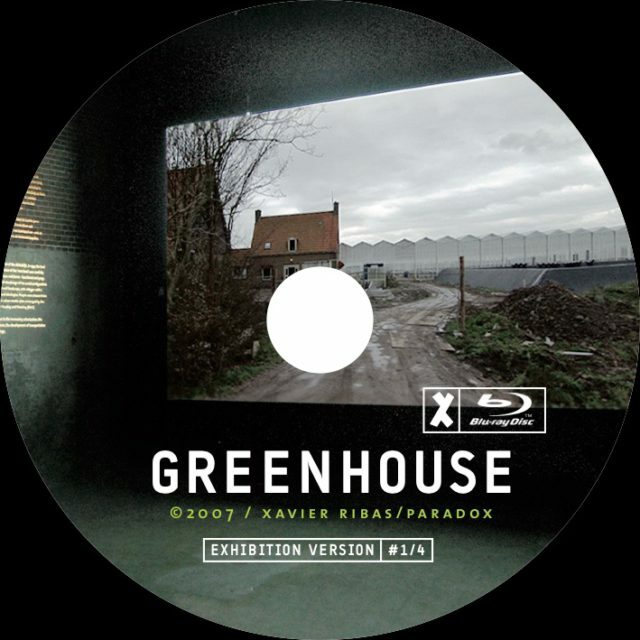 Greenhouse is a journey along the gap between two times. 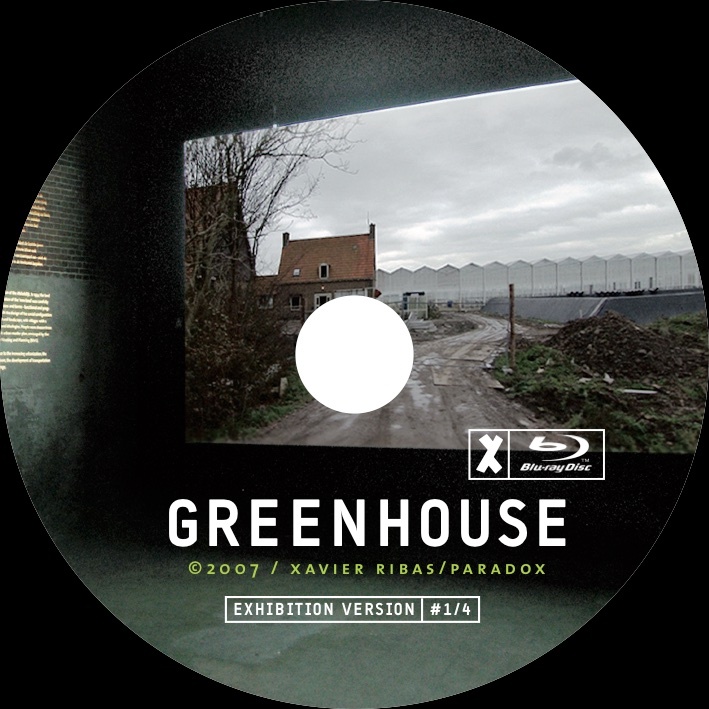 The Greenhouse exhibition has been part of several group shows over a number of years between 2007 and 2009. 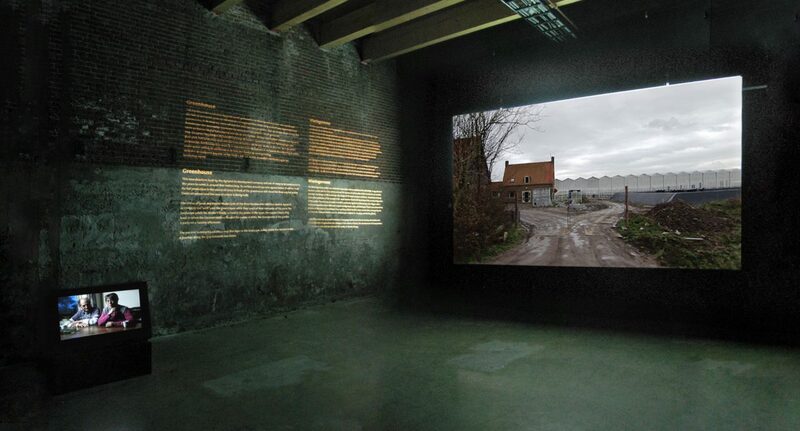 First, it was displayed at Scheltema, Leiden, as part of Changing Faces/Work. 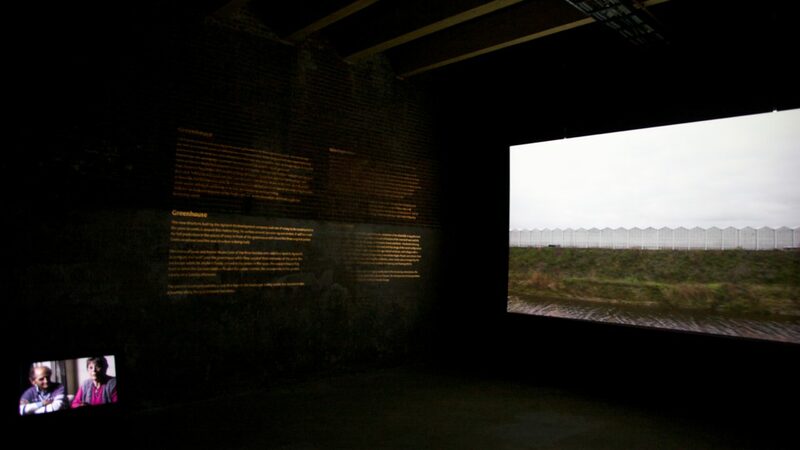 In 2008, Kröller Müller showed the work as part of Nature as Artifice, and Museum Waterland exhibited it during the North Holland Biennale. Lastly, in 2009, it traveled to the USA, again as part of Nature as Artifice. Ribas invited Mr. and Mrs. Muller to talk about their memories of the place: the landscape when Mr. Muller’s family arrived in the polder in the late 1930s, a wooden house they lived in when the German soldiers flooded the polder in WW2, the strawberries in the garden, a party on a Sunday afternoon… During the exhibition, their voice accompanies us in our ‘walk’ of the greenhouse, but the interview is equally interesting as a document in itself.